They say an image speaks a thousand words. Nowhere is this truer than on the World Wide Web. The WWW was simply text until browsers enabled us to add all the eye candy. Your blog posts, your marketing materials, and your website all need images. As a small business owner, you probably think that photos come with an expensive price tag, but they don’t have to. Below are places to find images for every small business need. Before we dive into the list however, let’s talk legal. Image use is governed by a number of different copyright laws. These laws specify what you can and cannot do with the images you find online. What’s this mean in layman’s terms? If you use images without legal rights, you could be sued. Or you may be rudely surprised to receive a demand letter claiming you owe thousands of dollars to the image owner. As you make use of the sites below, be sure to follow the licensing terms set forth on each site. Also, remember that even if a site claims images are “royalty-free” it does not mean the image is free. It just means a volume royalty does not have to be paid with each use. You may still have to pay a one-time license fee. Further, keep in mind that on so-called “free” sites, you use the image at your own risk. The person who uploaded it may not have had the legal right to upload it in the first place! The genius behind Gratisography is Ryan McGuire who offers a good-sized collection of original high-resolution images, many of which are fun and whimsical. Hailing from southern India, Jeshu John created DesignersPics to share his photos with other Web designers & developers. His isn’t a biggest collection of free photos however, he has a sharp eye for setting and mood. A site with a global perspective, Photoeverywhere offers images from around the world, many of them exclusive to their site. 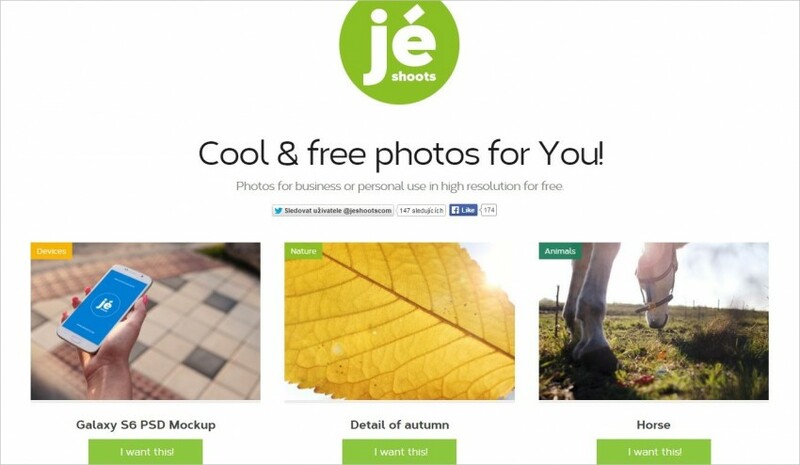 JÉSHOOTS is the home of Jan Vasek whose small collection of hi-definition photos (an example of one is shown below) can really liven up your online content. If you’re a startup looking for images, then you should check out Startup Stock Photos. A startup themselves, they took many pictures along the way, many of which they share on this site. Unfortunately, the talented young man who took the photos and created Little Visuals has passed on. Fortunately, his eye-catching photos are still online and free for you to use. Jeffrey Betts if the photographer over at MMT, where he offers high-resolution photos (an example of one is shown below) that will knock your socks off. Jeffrey adds one new image every week so check back regularly. KaboomPics is the brainchild of Karolina, a Polish Web designer who loves photography. She built the site, and its large collection, to serve the image needs of, “bloggers, website owners, small businesses, freelancers & social media ninjas”. Photographer Jay Mantri offers a number of breathtaking photos on his Jay Mantri site. 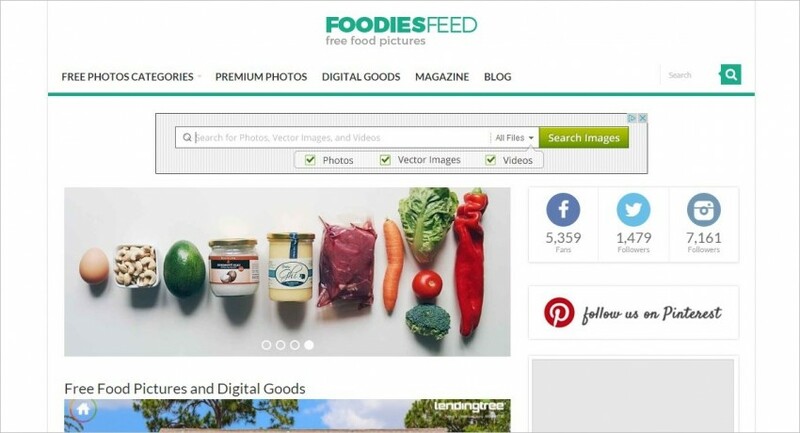 A lover of all things food, Jakub created FoodiesFeed to share his gastronomic adventures. If you need food “non-stock image like” images of food (an example of one is shown below), then check his site out. Looking for outdoor photos of nature? Then head on over to Free Nature Stock where Adrian Pelletier adds new photos every day. Daniel Nanescu shares years of photos for free on his SplitShire site. This one is definitely worth a look. You’ll find a good-sized collection of photos covering a wide-range of topics (an example of one is shown below) over at Cupcake where Swedish photographer Jonas Nilsson Lee offers some of his professional collection for free. Moveeast offers the photos of João Pacheco, “a Portuguese guy moving that decided that every photo of his experiences/travels should be used for free”. 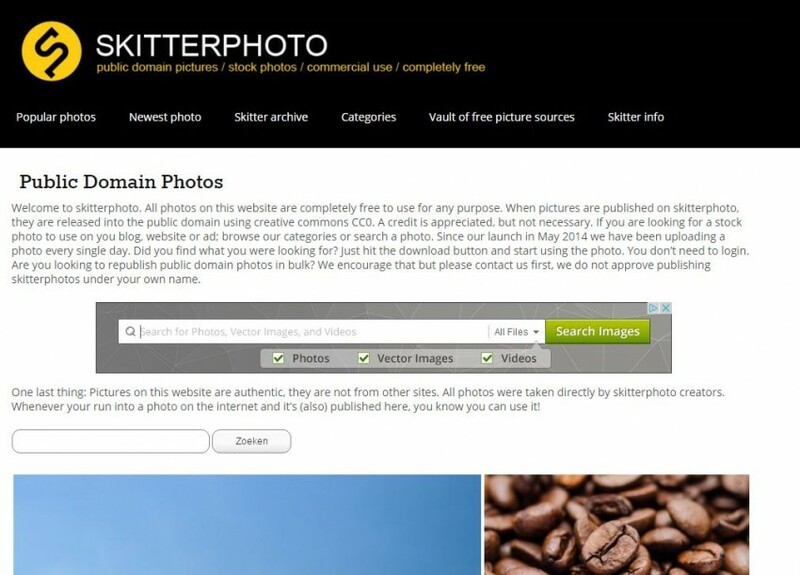 The photos on Skitterphoto (an example of one is shown below) are all shot by three skitter photographers residing in Groningen, The Netherlands. They offer a good-sized collection of photos over a mix of categories. All the photos on Free Stock Image Point were shot by one person who offers them to you for free. Free Images offers a huge collection of free to use images, most of which are exclusive to the site. David Niblack, an amateur photographer who loves to share his images, took most of the photos on Imagebase where he offers them for you to use free of charge. You’ll find thousand of images to pick from on Good Free Photos. What’s really amazing is that one person took them all! You’ll find a good-sized collection of photos covering a wide-range of topics over at Raumrot where photographer Markus Spiske offers some of his professional images for free. Image search engines that index other free image sites and then enable you to search for the images you need across all those sites at once. Again, remember that you use “free” images at your own risk. As you can see from the list below, there are a lot of these two types of sites out there. We recommend giving them a try until you find the ones that suite you best. FreeImages – they also offer premium images. freeimageslive – this is the sister site to Free Images which was included in the section above. As opposed to exclusive images, this site feature uploads from users. travel coffee book – where folks share their travel photos for you to use. NOTE: remember to be extra-careful about usage rights when pulling images from sites below. 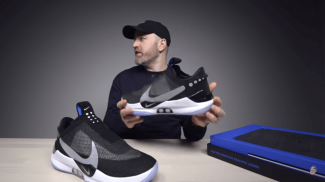 Most of these sites pull an image to their own sites from another, but they don’t always list the copyright rules that the originating site applied to that image. io – this site is like Pinterest where users can add free images that they find on other sites. Smallest size is free: Images are usually available in differently sized versions. On hybrid sites, the smallest version is typically free while the larger sizes are available for a fee. 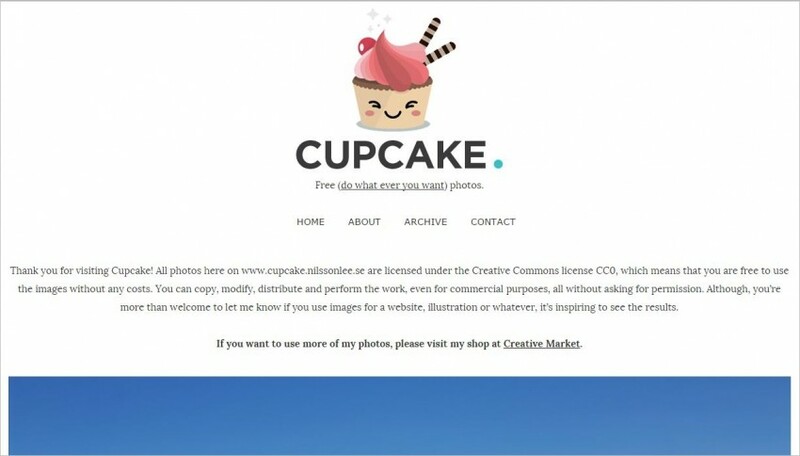 Free image collection offered: on this type of hybrid site, you need to pay for images however, the vendor also offers a sizable collection of free images as well. You’ll find a number of picture collections on the KAVEWALL site, all of which can be downloaded for free. However, if you want any of the images at full resolution, you’ll need to purchase the collection. You’ll find a lot of free images at 123RF of which, the smallest version of each is free. Pond5 offers a good-sized collection of free photos alongside the ones they sell. Many people know Dreamstime as one of the heavy hitters in the stock image arena. 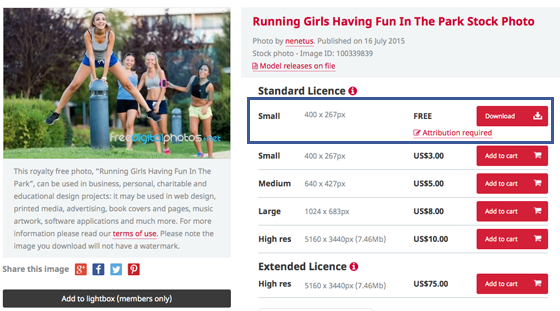 What most folks don’t know is that they offer a very large free image section as well. 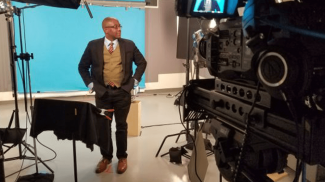 picjumbo puts a different spin on hybrid: they offer one or two images for a photo shoot for free and, if you want the rest, you need to pay. This humorously named site will send you a pack of photos for free each month however, if you want access to the Death to Stock collection, you need to subscribe. While not as large as other sites, Refe still offers a nice collection of free images to use. You can find many useful images on tookapic including this section of free photos. 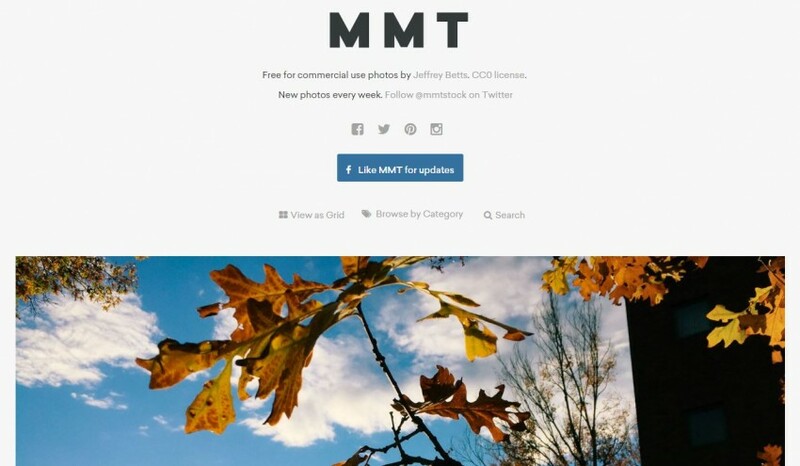 MadeinMoments offers a decent size collection of free photos. Barn Images offers a subscription to receive new image packs however, they offer a number of free images, too. If you’re looking for premium image collections, Good Stock Photos has you covered however, they also have a solid collection of free images. Our last set of sites includes the heavy hitters of the royalty-free stock photo world. You’ll find almost every image you need on one of these sites and surprisingly, it won’t cost as much as you’d expect. 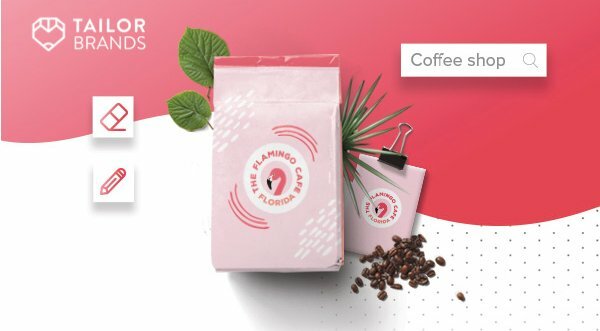 Creative Market – this is a great online market for all sorts of design needs however, one standout feature are their image packs where you can get hundreds of photos for one low price. Images will draw attention to your content in a way that nothing else does. 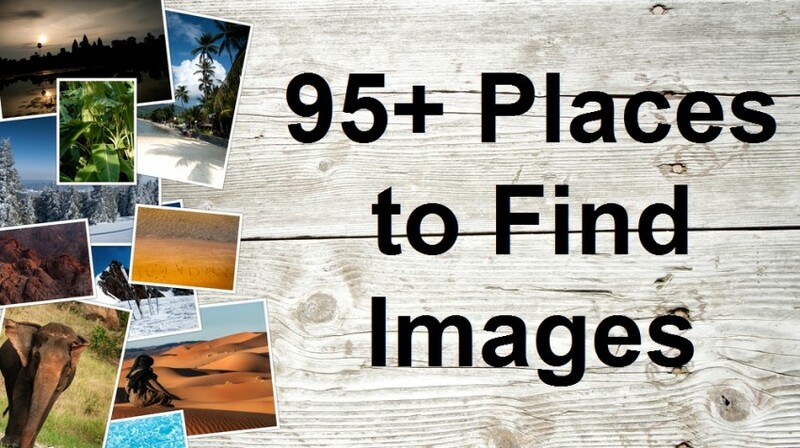 Use our list of places to find images for every small business need above to find the images you need. However, always protect yourself by paying close attention to the license applied to each images you use. Wow! I really needed this. I’m happy to read this article, Now i can find suitable images for my blog. Thank you matt. Bookmarked. What a great resource. Images are indispensable in businesses nowadays. You use them in just about any form of marketing material. I guess this is a nice resource to keep in handy so that you know where to go when you’re looking for those images. It is really helpful. Looking for a source for your images is such a pain, but with this epic post, a lot of research time have been saved. BTW, this post has been bookmarked. Amazing list, this really helped me to build my blog. You can also add envato and creativemarket, they aren’t specialized in stock photos, but have a category in their site. Great article and a reminder to all businesses. We are a small business and just received a demand letter from a major image company. Our website has hundreds of thousands of images loaded by customers and we have always purchased images aware of copy rights BUT we are being questioned about what our customers have loaded and two small images we loaded in 2012 and earlier. Keep your invoices with image numbers easily accessible. 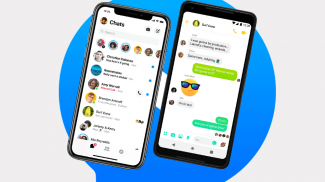 The amount of time wasted and the costs involved are rediculous and while image companies can make money demanding payments they will continue.